After transferring you from the airport to your hotel we'll take you on an introductory tour of Luang Prabang, time permitting, to visit Wat Visunalat, Wat Aham and perhaps walk up Phousi Mountain for a panoramic sunset view of the city and surrounding mountains. We'll finish the day with a trip to the colorful Night Market. After breakfast we'll enjoy a short, guided tour to see the city's oldest temples of Wat Sene and Wat Xieng Thong, both of which represent the classical temple architecture of Luang Prabang. Then we'll board a cruise up the Mekong River to the mysterious Pak Ou Caves, which are crammed with thousands of gold lacquered Buddha statues of various shapes and sizes. Along the way we'll stop at the village of Ban Xanghai, where you can see the locals distilling rice into local Lao Lao wine and whiskey. After returning we'll take a short drive to Ban Xang Khong and Ban Xienglek, well known for its hand-made traditional Saa paper. Wake early and you may participate in the daily morning ritual of Alms-giving. After breakfast we'll stroll through the Phousi Market where you see many local products such as dried buffalo skin, local tea and salt among the chickens, vegetables and hill-tribe weavings. In the afternoon we’ll visit the Kuang Si waterfall where you can visit the Bear Rescue Center, managed by an NGO called FreeTheBears. On the way we make some stops to visit local villages. At the waterfalls you can swim in the pools or stroll along the forest paths. We'll return to Luang Prabang by late afternoon. OPTION: Trekking Tour at Kuang Si waterfall with village visits, jungle hike, cave exploration, natural pool swimming. Let us know in advance and we’ll prepare our picnic lunch. Trekking time is approximately 3 hours, easy to medium. We'll take private transport to Xiengkhouang, home to the mysterious “plain of jars." This high-altitude region exhibits a rich diversity and stands in contrast to the more tropical parts of Laos. The plateau itself is scarred by the legacy of American bombing fom 1964-1973. Along the way we'll stop at hill-tribe villages, mostly from the Hmong minority. In Phonsavanh we'll visit the Plain of Jars, an impressive archaeological mystery. You'll spend the night in Phonsavanh. We'll start early, riding to the ruins of the old capital of the Phuan kingdom. Here, we'll enjoy a Lao noodle soup breakfast and visit a Buddha statue at Wat Piawat and an old stone stupa. On the way back to Phonsavanh we'll explore more of the Plain of Jars, either “Site 2” or “Site 3”. Depending on your flight schedule, an alternative activity may be to explore the local markets before boarding. A 30 minute flight will bring us to the capital of Laos, Vientiane. After checking into your hotel [if time permits] we'll continue our sightseeing tour of Vientiane with a short visit to the Patuxay, a monument of national pride on Lanexang Avenue. It’s also well worth taking a stroll in the evening along the Mekong River, where a local market entertains visitors and locals alike. Overnight in Vientiane. Exploring Vientiane, the capital city, we'll start by visiting the major sights including the oldest monastery, Wat Sisaket -- with its thousands of miniature Buddha statues -- and the former royal temple, Wat Prakeo, which previously housed the famous Emerald Buddha Image. We'll then visit the iconic That Luang Stupa. Along the way we may stop to take some pictures of the imposing Patuxay Monument,Vientiane's own 'Arc de Triomphe.' Later in the afternoon we'll continue our tour on foot if it's not too hot. We can visit Wat Ong Tue, Wat Inpeng and Wat Haisok or even take the time to relax. Next we'll pass by the major shopping area continuing to the Vientiane Central Market of Talat Sao and Talat Kouadin, where major goods are traded, including fresh food, household, textiles, gold and silver. You may even see ancient souvenirs on display. We'll return to the Mekong Riverside in the late evening. We highly recommend a cold beer Lao while you enjoy the cooling weather at sunset on along the river. We'll start early again taking a flight to Pakse, South Laos. On arrival we'll drive further south to Champassak to commence our explorations of the remains of Khmer history in the region, visit the ruins of Wat Phou, understood to be the most important Hindu sanctuary of the Khmer Empire. The first temple on the site was built as early as the 5th century, though the current ruins are from the 11th to 13th centuries. Our thorough 2-3 hour visit of the ruins includes a steep climb to holy shrines of worship where many sacred Hindu, Buddhist and Animist elements can be found. The Wat Phou Museum exhibition hall on the lower levels invites visitors to study the rich heritage of Khmer artists and Buddhist sculptures. Afterward we'll continue to the small town of Champassak, where colonial influence can still be observed in the local architecture. In the afternoon we continue to Don Khong Island by traditional local slow boat or Minivan, spending the night at Don Khong. Early in the morning we’ll explore Si Pan Don. Here the Mekong River is at its widest, stretching up to 12 km during the rainy season. As the waters recede many small islands emerge, giving the region its name. From a distance you can hear the unmistakable roar of the Li Phi falls, which we will visit. These falls are famous for the Irrawaddy freshwater dolphins that swim nearby. Ban Hang Khon is one of the few places on earth it's possible to spot these endangered mammals. We’ll also view the old locomotive and a railway and colonial bridge built by the French in order to avoid navigating the rapids and waterfalls in this section of the Mekong. Note: Excursion on the river to view dophins only on special request and at extra cost. Upon leaving Khong Island we continue our journey towards to the Bolaven Plateau, located in the Annamite Mountain Range, which runs along Laos’ eastern border with Vietnam. 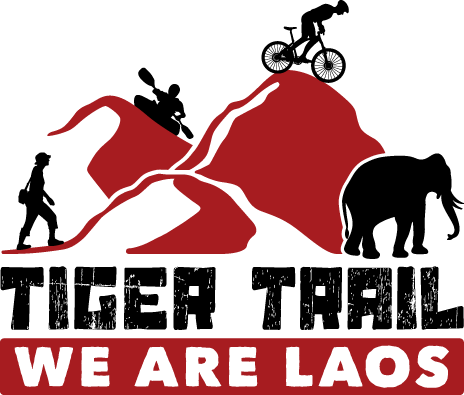 The renowned coffee of Lao PDR is produced in this region. The climate of the plateau, with its cooler temperatures and abundant rainfall, make it the perfect place for coffee production. After viewing several cascading waterfalls -- including the famous Tad Lo and Tad Fan Waterfalls -- we'll return to Pakse for an afternoon walk or visit to its local market. NOTE: Overnight location depends on tomorrows travel connections. We prefer to offer a close-to-nature stay in one of the Lodges of Boloven near one of the fantastic waterfalls! After breakfast you’ll have free time to explore Pakse Town before taking a flight to Siem Reap, Cambodia or taking an overland exit through Chongmek International checkpoint to Ubon Rathani, Thailand.